Get Online Week is a yearly digital inclusion campaign in Telecentres: public internet centres in NGOs, libraries & education venues. The campaign is organised by Telecentre-Europe AISBL supported by the European Commission and a number of international organisations, including Microsoft, Liberty Global, European Broadcasting Union and Telecentre.org. 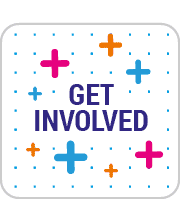 Get Online Week helps people to get online, find work, learn new essential ICT skills, and get more out of life. Run in March 2010 – Get Online Day, the first occasion of the European campaign reached almost 70.000 people. 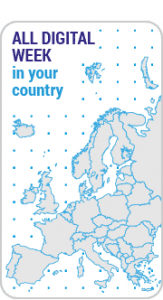 Get Online Week 2011 ran from 28 February to 5 March and reached 112.074 people in 30 European countries. In 2012, Get Online Week ran from 26 to 30 March and brought together more than 10.000 telecentres in about 50 countries across Europe, Eurasia and Africa, supporting more then 200.000 people in their online journeys. During Get Online Week 2012, the involved telecentre networks used new learning products, supporting the themes of intergenerational learning, youth employability, active aging, civic participation, social engagement and women in ICT. In Twitter, the hashtag #GOW12 was used for all activity reporting around Get Online Week 2012.